Back by popular demand…Broadway’s Wicked returns to Austin, so if you missed it before, here is your chance. Mark your calendars, show go-ers, for this is a play you’ll want to see again and again. 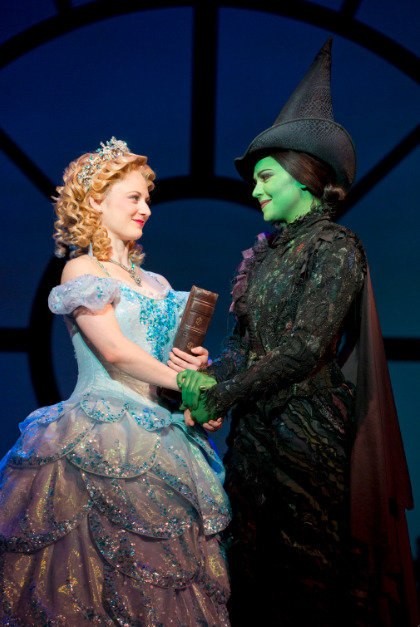 From February 19th through March 9th, Wicked hits the stage at The University of Texas’ Bass Concert Hall. After breaking Austin box office records in 2009 and 2012, one of Broadway’s most entertaining and captivating, yet moving and touching, musicals is back. Wicked is the “untold story of the witches OZ”; based off of the best-selling 1995 novel by Gregory Maguire. The musical tells the story of two girls who meet, long before Dorothy’s story begins. These two girls are polar opposites; one has green skin, one is classically beautiful; one feels lost in the world and one feels like the popular queen of her crop. These two girls have a relationship that twists and turns, providing a relatable plot for audiences around the world. The twist? These two girls become the Wicked Witch of the West and Glinda the Good Witch of the famous Oz series of books. Powerful music and spirited, entertaining dances draw viewers in and take them on a ride with the witches. The musical just celebrated its 10th anniversary this past October, and currently has nine productions worldwide. Locally, it will be performed by Lexus Broadway in Austin at Texas Performing Arts. With set and costume design by Tony Award winners, music and lyrics by Academy Award winners, direction from a Tony Award winner, staging by a Tony Award winner and over fifty awards, including a Grammy and three Tony’s, Wicked is surely a show you don’t want to miss. Tickets start at $44, and are on sale at BroadwayinAustin.com, the Bass Concert Hall box office, all Texas Box Offices, or by phone at 512.477.6060. For groups of 20 or more, call toll free at 877.275.3804 or email Austin.groups@ broadwayacrossamerica.com. The show will run Tuesday – Friday at 8 p.m.; Saturday at 2 p.m. & 8 p.m.; Sunday at 1 p.m. & 7 p.m. An additional matinee is scheduled for Thursday, February 20 at 1 p.m. Photography of Hayley Podschun and Jennifer DiNoia by Joan Marcus.